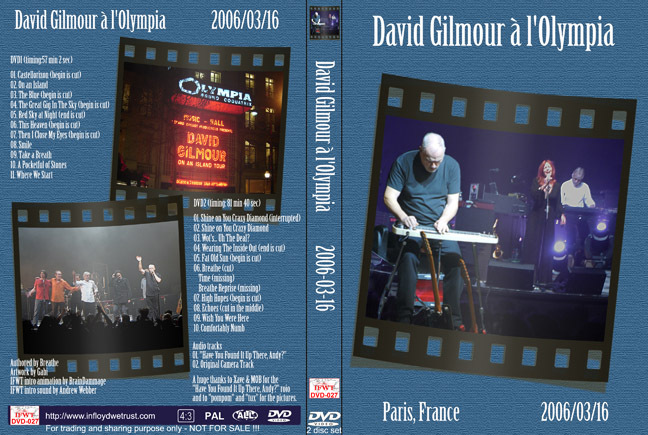 IFWT-DVD-027 "David Gilmour à l'Olympia"
03. Wot's... Uh The Deal? 01. "Have You Found It Up There, Andy?" at the Grand Rex Theatre, not far from the Olympia). "Happy Birthday" song to David. almost totally improvised and very exciting to hear!